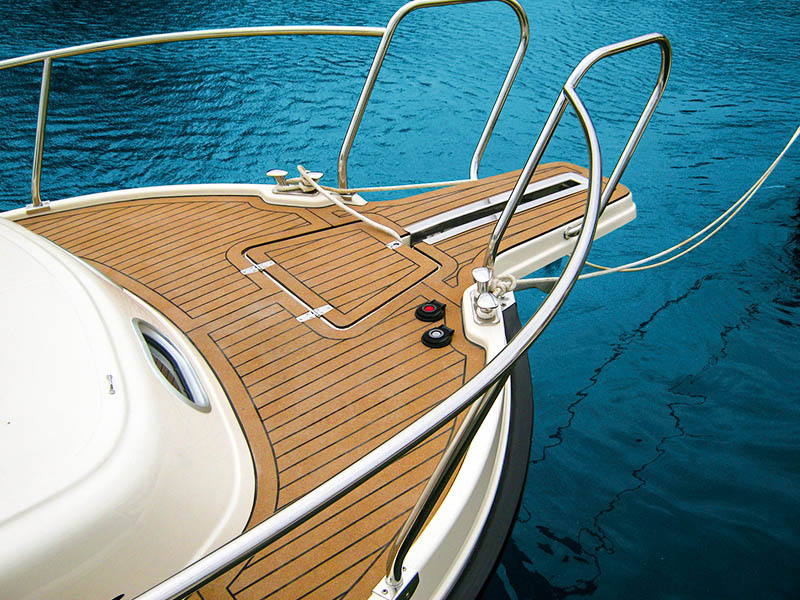 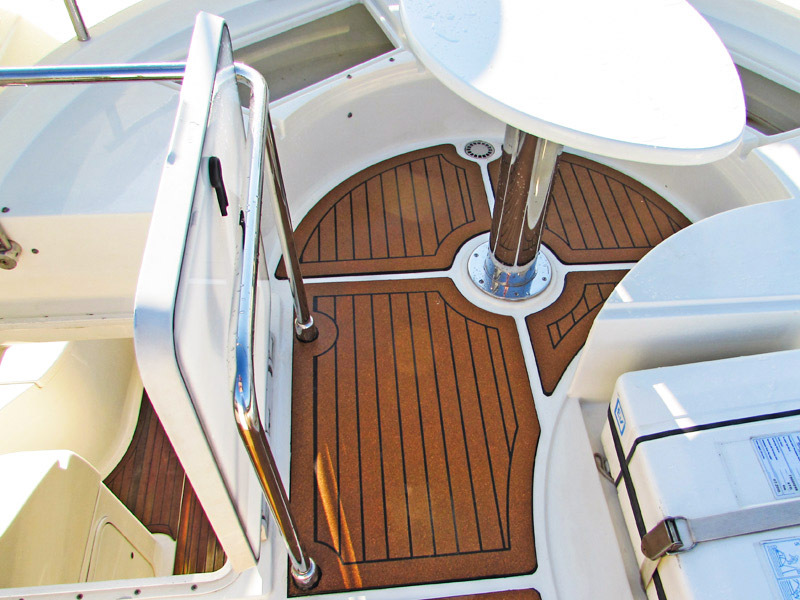 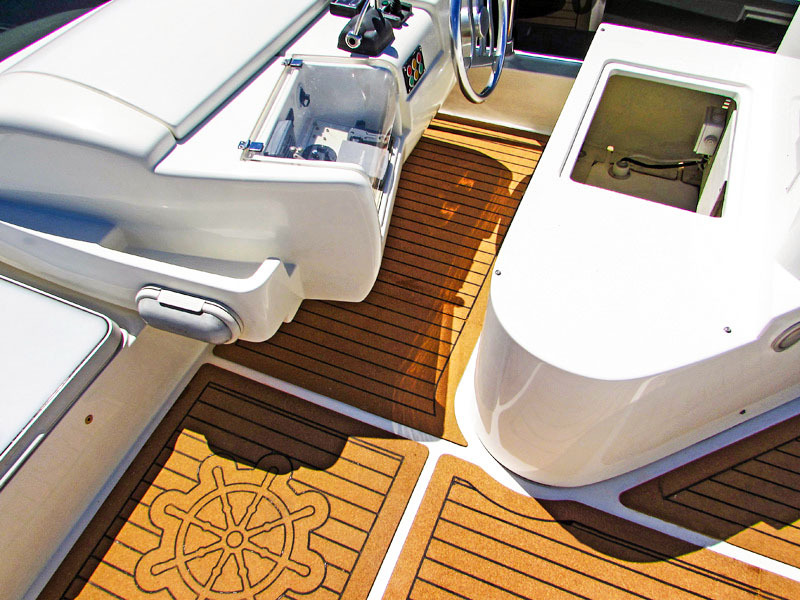 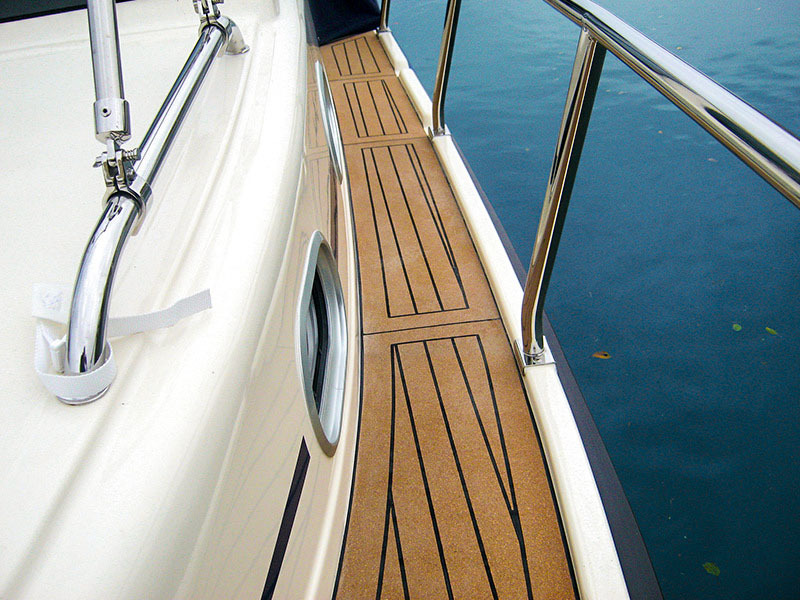 Corkline is specifically designed to be installed on outdoor and indoor surfaces on all types of boats, it is also suitable for other surfaces in places exposed to adverse weather conditions (such as outdoor terraces etc.). 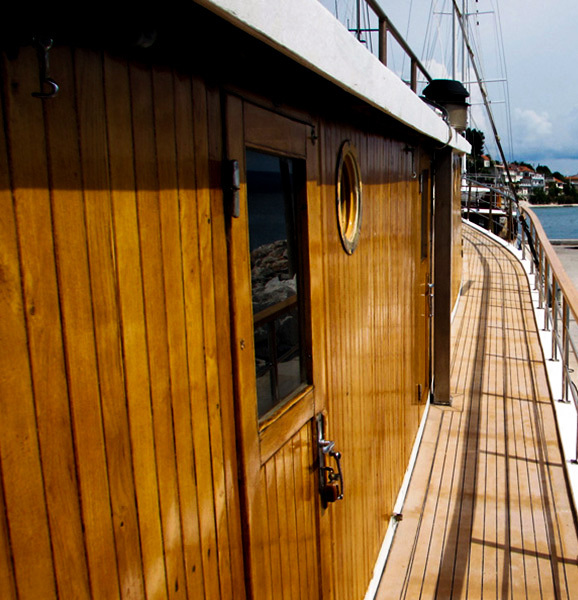 It is an excellent and cheaper alternative to teak. 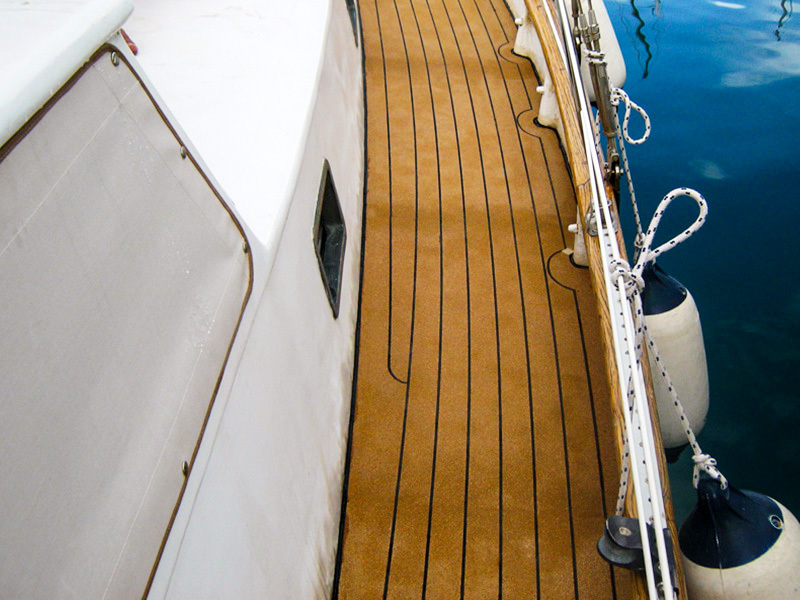 The typical loss of colour or shade in natural materials, especially due to sun, should also be considered. 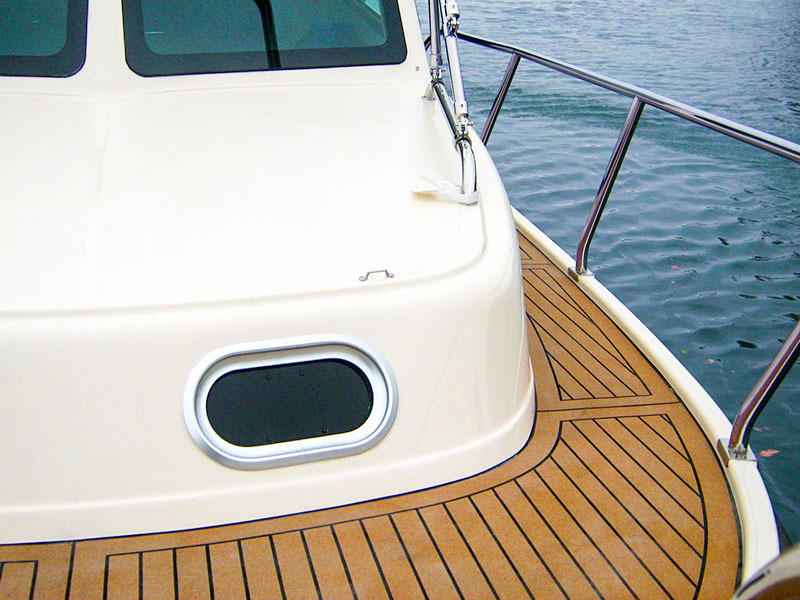 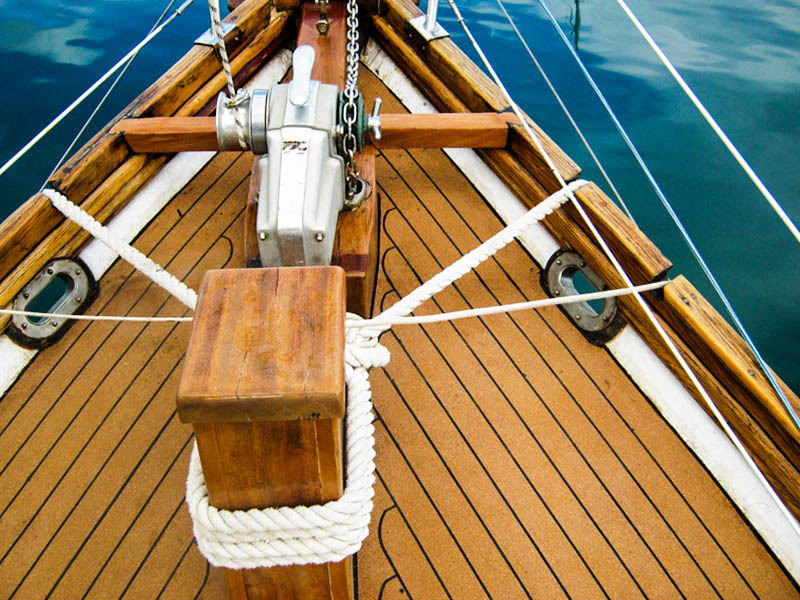 This can be avoided or considerably supressed by coating the surface with teak oil. 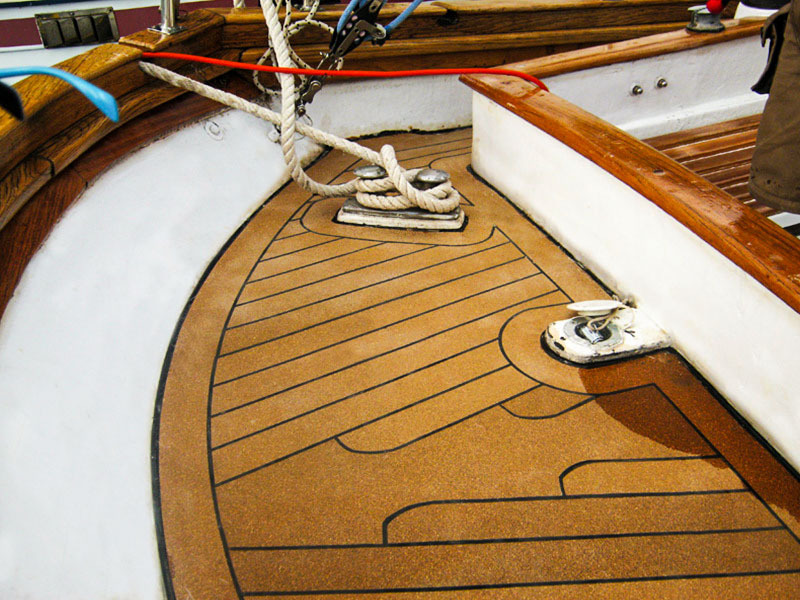 This procedure ensures a long-lasting fresh and natural look of Corkline flooring.